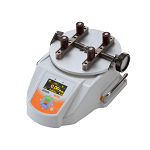 Torque-Angle measurement unit TAA series | IMADA CO.,LTD. IMADA Torque-Angle Measurement Unit TAA-MTS-TB series can be used for tactile test, material evaluation and more. The high speed sampling rate 2000 Hz captures accurate values and draws a detailed graph of torque and angle. 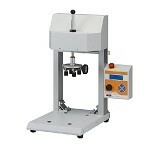 The unit includes a torque gauge, a torque stand with a rotary encoder, a cable, a graphing software and a chuck fixture. The capacity is from 2N-m to 10N-m.
You mount the torque gauge on the torque stand and connect them by the cable. 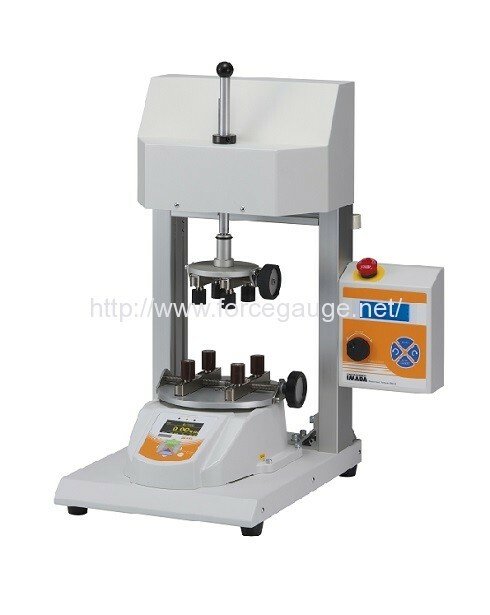 You can perform torque-angle measurement for variety of samples by the changeable table and fixtures according to your needs. The high speed sampling rate 2000Hz captures accurate values and draws torque-angle graph in detail. The included software supports your report creation. You can perform zooming a specific area, adding comments, graph layering (up to 5 graphs) and more. Moreover, the created graph can be directly exported as Word, Excel and PDF file. *The handheld type and the manual torque stand type are also introduced in the specification. Please refer to the specification for the detail. *Other sample height is allowable. Please contact us. Output USB，Serial(RS232C)(*1), Analogue (Approx.±2V)(*1)，Comparator，Overload，Sub comparator，USB flash drive *USB flash drive is not included. *1 Custom made cable is necessary when the user needs the Angle output and serial/analogue output on the same time. *2 It is necessary to connect a torque gauge with the included connecting cable to activate. *1 □□: Please choose from the suitable capacity. *2 We accept custom made order for the sample height 240mm or more. *3 The long stroke option is also available for “-Z” model.